Lease an historic building in the USA to a resident curator with this Curatorship Lease. The curator will live in the property while performing restoration, rehabilitation and repair work on the structure. The curator (tenant) will live in the property for an annual rent of $1.00, in exchange for his/her restoration work on the building(s). 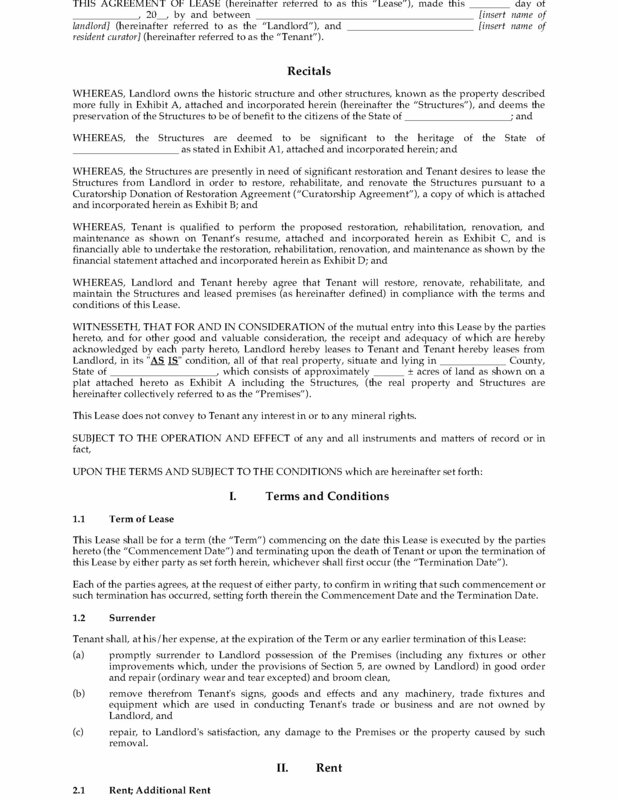 The tenant accepts the property on an 'as is' basis, and will not occupy the premises until a lead free or risk reduction certificate has been obtained. The tenant is responsible for maintaining adequate loss â„ liability insurance, all risk or fire and extended coverage insurance covering all improvements and personal property, and workers compensation insurance (if applicable). The tenant must get the landlord's written consent before making any alteration or improvement, except for pre-approved improvements and repairs listed in the Lease. The tenant acknowledges that certain toxic or harmful substances may be present as a result of the restoration work, and accepts sole responsibility for mitigating all harmful and toxic substances on the premises. 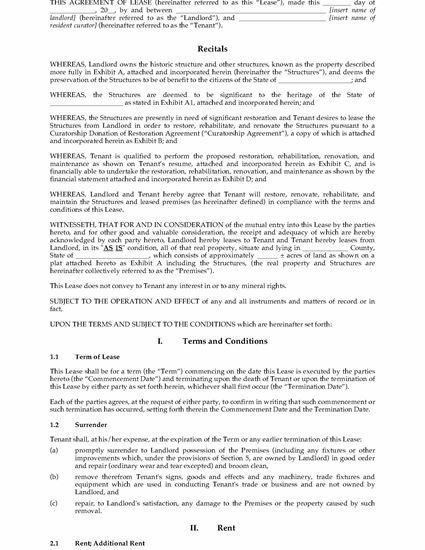 The tenant has no authority to encumber the premises or do anything which would result in a lien being placed on the premises. The tenant is responsible for maintaining both structural and nonstructural parts of the premises. 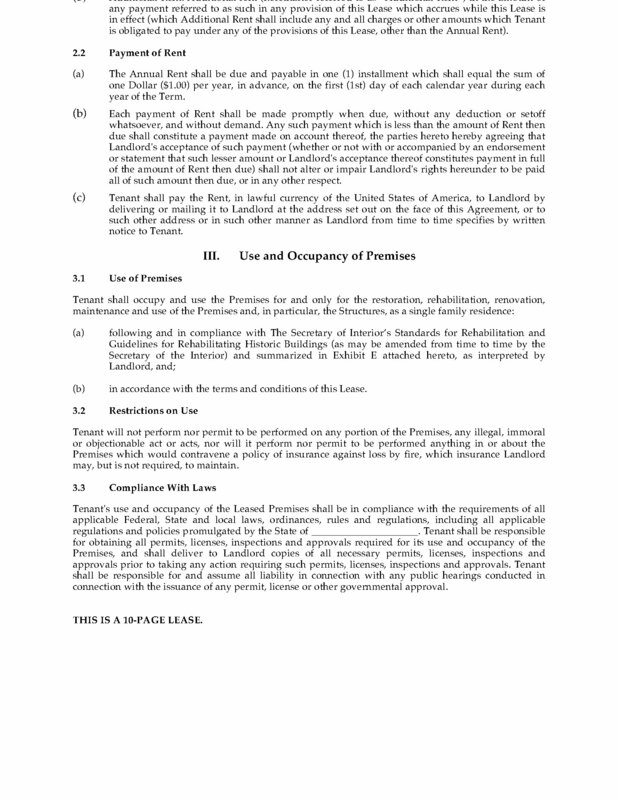 The USA Curatorship Lease is available as a Microsoft Word download which is fully editable to fit your circumstances.